You are currently browsing the tag archive for the ‘Donald Hall’ tag. I am not a poet. But I turn to poetry instinctively to navigating the inner life. As a painter I have given myself a hall pass to not have to chip away at language in an attempt to replicate, resuscitate or reconstitute those intense experiences that happen outside the domain of language. Outside my domain anyway. 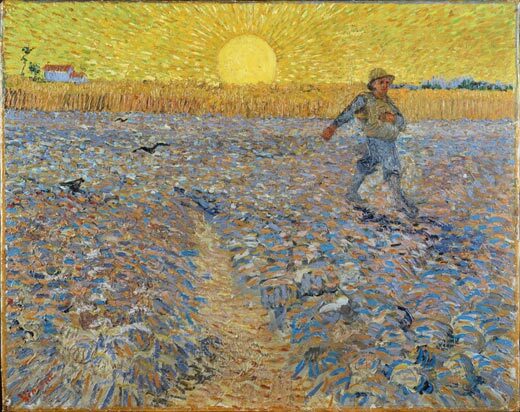 So I lean on those gifted ones, the ones who can dig, distill and divulge. The ones who can crystallize in words what I have felt through my eyes, my body. They voice what I cannot. Not all poetry is written to ameliorate the lyrical needs of a tongue tied visual artist. But the viability and general health of poetry matters enormously to me. And even though the bean counters continually claim that the audience for poetry is in perpetual decline, I don’t believe it. So I was particularly pleased to run across this piece in Newsweek that speaks to that very issue. The dismal poetry findings stand in sharp contrast not only to the rise in general fiction reading, but also to the efforts of the country’s many poetry-advocacy organizations, which for the past dozen years have been creating programs to attract larger audiences. These programs are at least in part a response to the growing sense that poetry is being forgotten in the U.S. They include National Poetry Month (April); readings, lectures and contests held across the country; initiatives to get poems into mainstream publications such as newspapers; and various efforts to boost poetry’s presence online (poets.org, the Web site of the Academy of American Poets, even launched a mobile version optimized for use on the iPhone). Yet according to the NEA report, in 2008, just 8.3 percent of adults had read any poetry in the preceding 12 months. That figure was 12.1 percent in 2002, and in 1992, it was 17.1 percent, meaning the number of people reading poetry has decreased by approximately half over the past 16 years. Dana Gioia, who was chairman of the NEA when the new report was released but has since stepped down, credits the rise in fiction reading to a number of things, including more reading online; initiatives like the NEA’s “Big Read,” which began in 2006 and seeks to have whole communities read a literary work together; the efforts of educators; and the success of series such as the Harry Potter books and Stephenie Meyer’s “Twilight.” He also mentions Oprah’s Book Club as a catalyst. Poetry, for all its merits, has no program or volume to rival the current popularity of Oprah and Harry Potter, but even so, the decline of its already modest following is noteworthy. Some critics and readers claim that most poetry today is too cloistered and inaccessible, or that it is just plain bad. Yet a telephone survey conducted in 2005 by the National Opinion Research Center on behalf of the Poetry Foundation found that only 2 percent of respondents said they didn’t read poetry because it was “too hard.” And Donald Hall, a former U.S. poet laureate, points out that most poetry in any age is bad, and that hasn’t kept people from reading in the past. Exposing more people to poetry is exactly what advocates have been trying to do, and evidence suggests they’ve done quite well. National Poetry Month, for instance, which began in 1996, has become a fixture in thousands of schools and is celebrated in communities all over the country. Poets.org had more than 10 million visits last year, up from about 4.5 million in 2001, and Poetry magazine, one of the form’s oldest and most venerable outlets in the U.S., has seen its circulation triple to 30,000 since 2003. Still, despite the anecdotal evidence that interest in poetry is on the rise, at least among some parts of the public, the NEA numbers are difficult to discount. The report is based on “The Survey of Public Participation in the Arts,” conducted in partnership with the U.S. Census Bureau. The survey’s sample was more than 18,000 adults, which the report points out is “roughly 20 times the size of the average media poll,” and it was balanced by the Census Bureau to “reflect the present U.S. population.” It is by far the largest recent study on reading in the U.S. Even if readership is down, not everyone is concerned. 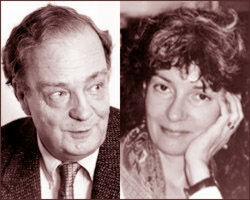 In fact, popularity is itself a fraught subject in the poetry community. In an address to the Association of Writers & Writing Programs this February, the president of the Poetry Foundation, John Barr, described how the popular poet writing for the common reader essentially disappeared with the advent of Modernism. The 19th-century model of poets publishing in mainstream venues such as newspapers was replaced by the 20th-century model, in which the increasing fragmentation and difficulty of poetry required specialists to discern it, moving it into the college classroom. Today, to call a poem “accessible” is practically an insult, and promotional events like National Poetry Month are derided by many poetry diehards as the reduction of a complex and often deeply private art form to a public spectacle. Of course, poetry has been supposedly dying now for several generations. In 1934, Edmund Wilson published an essay called “Is Verse a Dying Technique?” Fifty-four years later, Joseph Epstein chimed in with “Who Killed Poetry?” and former NEA chairman Gioia gained fame with a 1991 piece titled “Can Poetry Matter?” In answering their titular questions, all three to some degree concluded that poetry’s concentration in the hands of specialists and the halls of academia was bad for the art form’s health. Despite what national surveys may suggest, and despite rumors of its demise, poetry seems likely to persist, in one form or another. 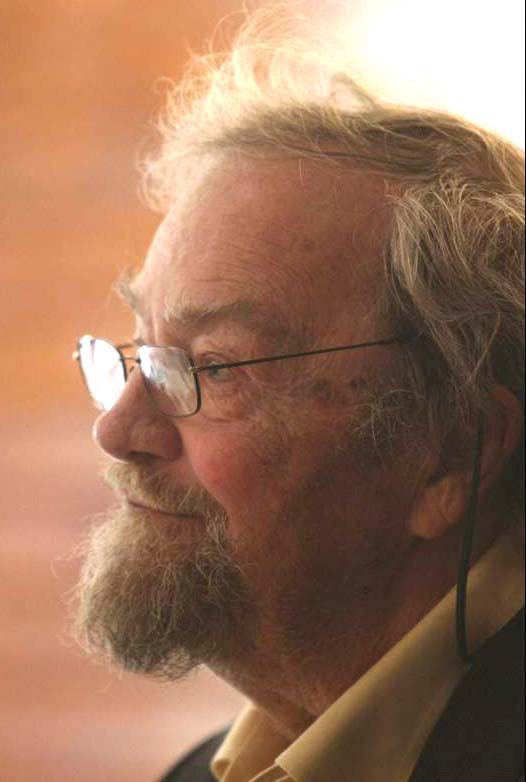 Donald Hall is a poet whose life and work I have written about many times before. His new memoir, Unpacking the Boxes, was reviewed by Peter Stevenson in the New York Times on Sunday. This life has been (and continues to be) an extraordinary one. “In childhood nothing happened.” So Donald Hall writes in his enchanting memoir, and what’s admirable about that sentence is not just the pleasure in coming across such a cheeky volley in the opening pages of an account of a life in our post-Freudian age, but the choice Hall made not to insert a comma between “childhood” and “nothing.” A comma — “In childhood, nothing happened” — would have insisted on a dramatic pause that the reader would be expected to applaud politely, nodding at the poet’s foreshadowing that clearly something did happen and it must have been simply stupendous, and here we go. But Hall means what he says, repeating the phrase “Nothing happened” twice, like a chorus or incantation, on the following page.